You may wish to copy a program you have created into your pre-set Templates library. Once you have selected the exercises and other content, go to the program editor (daily or weekly) window. Amend the exercise parameters so that they are set to your desired values (sets, reps, etc). Click on the "Save as template" button to the top right corner. 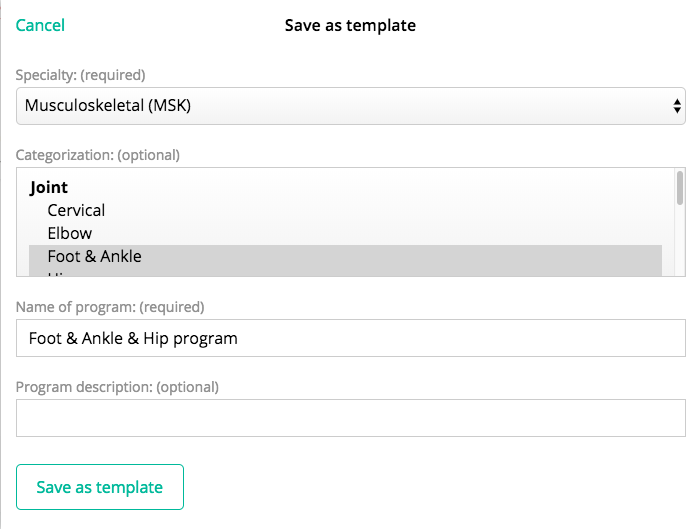 Enter your desired title and library tags for your exercise program, then finally click "Save as template". This program will now appear in your "Templates" tab for future use.